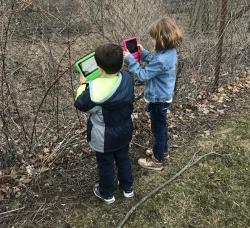 Kids using iNaturalist app to participate in WXXI Nature Challenge. 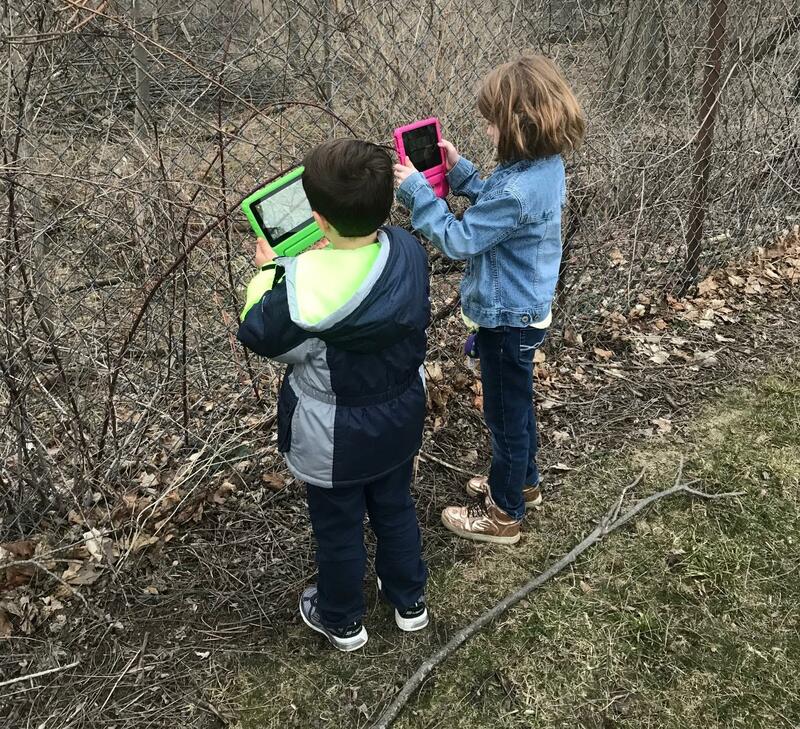 As a working definition, the folks at Cornell Lab of Ornithology offer the following: citizen science projects are "projects in which volunteers partner with scientists to answer real-world questions." According to SciStarter, a citizen scientist is an individual who voluntarily contributes his or her time, effort, and resources toward scientific research in collaboration with professional scientists or alone. Nature: American Spring LIVE has partnered with citizen science projects from around the country to encourage participation. SciStarter helps bring together the millions of citizen scientists in the world; the thousands of potential projects offered by researchers, organizations, and companies; and the resources, instruments, and services that enable people from all walks of life to pursue and enjoy these activities. SciStarter is the place to find, join, and contribute to science. With more than 3,000 projects and events searchable by topic, location, age-level and more, you’re sure to find the right match, anytime, anywhere. More than just a project directory, SciStarter is a robust community of more than 100,000 global citizen scientists who not only discover, bookmark and join projects but also keep track of their contributions and access the tools and instruments needed to participate in citizen science. Celebrate Urban Birds provides an opportunity for everyone across the country to watch birds and participate in activities focused on birds and neighborhood habitat improvement. Participants learn to identify 16 species of birds and watch an area about the size of half a basketball court (50ft x 50ft) for 10 minutes to see if they can find any of those birds. They repeat the observation 2 additional times over the following month. Celebrate Urban Birds provides all of the necessary materials to get you started. An important part of the project is to help scientists at the Cornell Lab of Ornithology collect information about the 16 key species of birds and the habitats they use. The scientists have created a project that will use data collected from participants to study these resident and migratory birds and their interaction with green spaces. Participants can observe birds and collect data from urban, suburban, and rural locations. Track a Lilac invites participants to find a nearby lilac and report whether they see leaves or flowers on their plant. The data contribute to a national database that will be used by researchers to better understand the timing of lilac leafing and blooming across the country. These observations have enabled the creation of the USA-National Phenology Network’s Spring Index models, which predict leafing and flowering in lilacs. These models, and associated maps, can be used to predict activity of early season plants at locations across the country and see how the timing of spring activity in a particular year compares to a long-term average. Some bee populations have experienced severe declines that may affect food production. However, nobody has ever measured how much pollination is happening over a region, much less a continent, so there is little information about how a decline in the bee population can influence gardens. The Great Sunflower Project makes it easy to gather this information. Find a plant you know (or a Lemon Queen Sunflower), observe it for 5 or more minutes and record all pollinators that visit, and contribute data online. You can make as many observations as you want while your flowers are in bloom. Plant, Watch, Enter. Repeat. That’s it. The Monarch Larva Monitoring Project enlists citizen scientists to collect long-term data on larval monarch populations and milkweed habitat. Developed by researchers at the University of Minnesota, the project aims to better understand how and why monarch populations vary in time and space, with a focus on monarch distribution and abundance during the breeding season in North America. As a volunteer, you can participate in two ways: You can commit to regularly monitoring a specific patch of milkweed or you can submit anecdotal observations. If you commit to regular monitoring, you’ll conduct weekly monarch and milkweed surveys, measuring per plant densities of monarch eggs and larvae. You’ll also be able to participate in more detailed optional activities, such as measuring parasitism rates and milkweed quality. Your contributions will aid in conserving monarchs and their threatened migratory phenomenon, and will advance our understanding of butterfly ecology in general. The goal of the project is to join viewers from around the world to make new discoveries using live streaming and archived cam footage focused on wild bird nests and feeders. Bird Cam viewers and scientists can investigate questions together across the entire scientific process: Observing birds on the cams; asking, discussing, and choosing research questions; collecting data by tagging videos; analyzing and interpreting results; and sharing the findings online. Local support for Nature events and special programming is provided by Cobblestone Capital Advisors.